Alopecia Free Scalp Balm contains 100% natural ingredients. 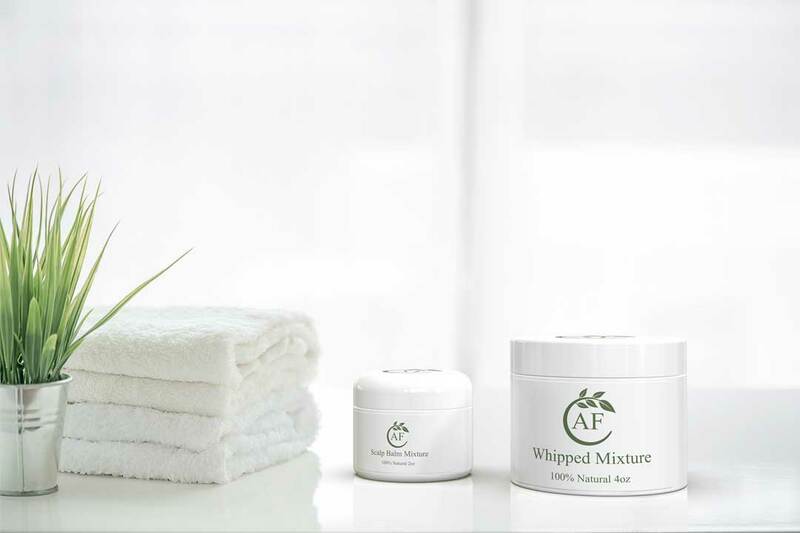 All natural moisturizer for your scalp. 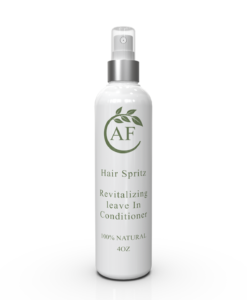 Contains natural healing properties and essential oils that may aid in the healing process for hair loss conditions such as alopecia. 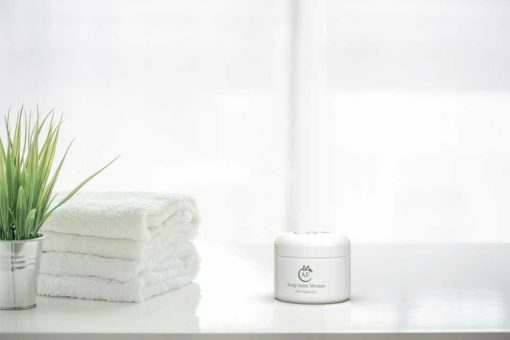 The Scalp Balm is an essential part of my Scalp Stimulating Kit. 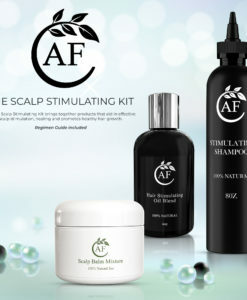 If you are looking for products and step by step instructions that can aid in stimulating hair growth, please take a look at my Scalp Stimulating Kit. 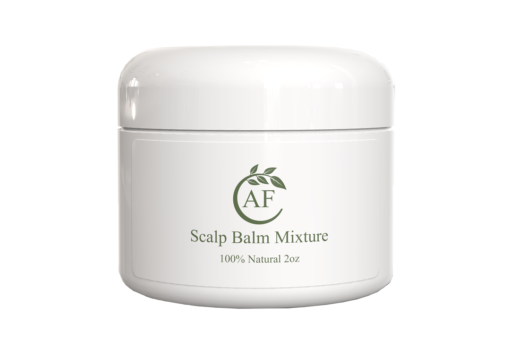 My All Natural Alopecia Free Scalp Balm deeply moisturizes your scalp with holistic essential oils that are known to aid in repairing the skin and scalp from damage caused by conditions such as eczema and alopecia. My Alopecia Free Scalp Balm melts on contact with your skin and easily absorbs into the skin and scalp. You can also apply the balm to your hair strands but it is not as ideal for hair strand application. 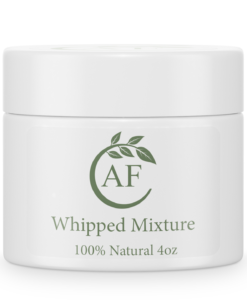 The Whipped Mixture is better used for hair strand application. This mixture is vegan friendly. PLEASE NOTE: If you live in a place that is exceeds 30 degrees celsius (86F) then this product may melt. Make sure to keep this shea butter mixture in a cool dry place. In the event that the mixture does melt put it in the refrigerator for 10 to 20 minutes so that the mixture can solidify. This may change the texture of the mixture but not the quality or potency of the mixture itself. For orders to the U.S. please allow 1-2 days for processing and 6 to 8 business days for delivery. Thank you for your patience. PLEASE NOTE: If you live in a place that is exceeds 30 degrees celsius (86F) then this product may melt. Make sure to keep this shea butter mixture in a cool dry place. In the event that the mixture does melt put it in the refrigerator for 10 to 30 to 60 minutes so that the mixture can solidify. This may change the texture of the mixture but not the quality or potency of the mixture itself. This product is truly amazing, and i have noticed lots of baby hair coming though. i think what i have learnt is, you have to have patience. I find the ‘Scalp Balm’ easy to apply and you actually only need a small amount because it being so concentrated, therefore lasting longer than i thought. Well worth the money. Thank you Jass, gives women like us hope, especially as you your self have gone and lived through the experience yourself. 5 out of 5	The BEST!!! I have alopecia and I’ve been using this on my edges for a month. I am starting to see baby hair on my edges! It moisturizes your edges, and is excellent for thinning. I will continue to use this product. It is the bomb! The sho nuff truth!!!! 5 out of 5	Still working!! It’s being about 9weeks now. I’m still seeing hair growth. Every bald area has hair. It’s a slow process but it works. I never thought I’ll grow hair there again. I’m hoping by the end of the month all the bald areas will be completely filled in. Be patient these products do work!! Still a very happy customer!! Thanks Jass!! 5 out of 5	Excellent product!! I’ve been using the hair balm and hair stimulating oil for a little over 3wks and I’m seeing results already!! I’m seeing hair in completely bald areas!! I’ve been diagnosed with CCCA. A form of alopecia. I’ve tried several products with no lasting results. The hair balm & stimulating hair oil are working wonders!! I highly recommend them!! I will update again in the near future. Very satisfied customer!! Thank you Jass!! This product have worked tremendously for me. I have tried so many products that I was obssessed in trying to fix the crown of my hair, i had cut it many times because it was slow at growing but the rest of my hair was growing fast. This product you must try i am not getting paid to say this, but it works wonders, just have to have patience. 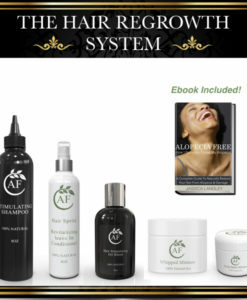 Purchase this product and you will be a happy customer, i am going to buy more because it has helped me tremendously. Thanks Jass, you have made me a happy customer! Jazz🙅😭😭😭😭 my edges arent growing and i’ m reaching my 3rd month. I’m doing everything right but im just not seeing anything. I wanted to thank you for your products. I lost my sister last year and the experience was traumatic. So traumatic that I lost a chunk of my hair. My hair dresser pointed it out to me. I didn’t even know. After doing research, I found your products. I took a picture of my hair loss for my own personal viewing and deleted them out of embarrassment. Needless to say, I’ve attached the growth I have now. This is a year’s worth of growth. With the help of your products (specifically the oil and the scalp balm), along with biotin and collagen, it’s grown so much! I still use the products time to time for reassurance. I can’t thank you enough. I have suffered with hair loss on nope Area (bald spot) for almost 4 years. I tried everything from stemcells to onions. No progress . I started using SCALP BALM MIXTURE 4 weeks ago after mixing with HAIR STIMULATING OIL BLEND and my hair is growing back in the nope Area. It is very very good product. Thank you jass such nice product given to us. The butter mixed with the oil only took 1 month for hair to grow! His head is full of thick new curly hair!!!! Blessings, All. I just wanted to share some preliminary results to hopefully encourage those who are struggling with deciding whether or not to try this product. I sent this email to Jass and was kind of undecided and feeling awkward about sharing it here. But, I figured, I have a testimony that if it could encourage just one person, I’d be satisfied! I know it’s only been about 2 solid weeks, but, I’m so thankful for you that I have to share some preliminary results. 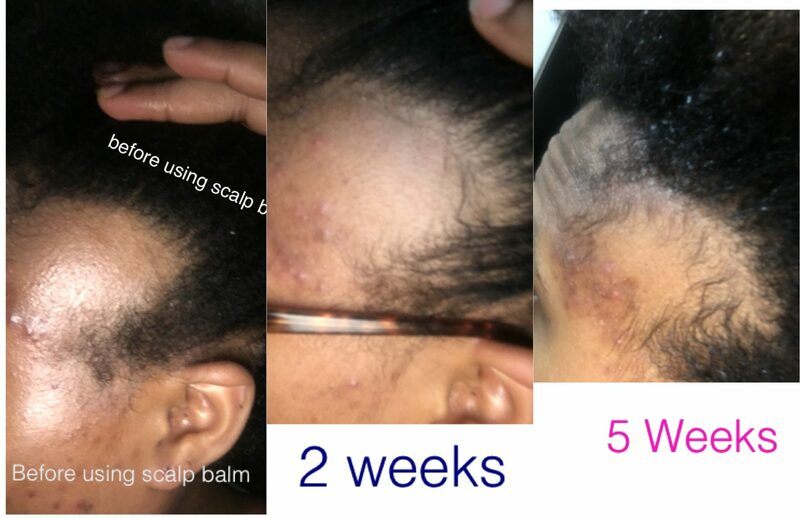 When I first purchased your oil and scalp balm, my alopecia was active (burning, itching, shedding). 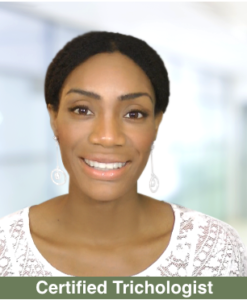 My appt to see my Dermatologist was a month away and I felt hopeless. I was using a steroid shampoo and cream 3-5 days/week and although that regimen temporarily reduced my symptoms, my hair was becoming more and more brittle and started to break. The first time I used your products, I washed my hair with Pure African Black Soap, greased and massaged my entire scalp with the balm and oil blend, sealed in moisture with the oil blend, and put my hair in large twists. As usual, two days later my scalp was itching again. Instead of using the steroid duo as prescribed, I decided to use your products again. This time, two day later there was no itch. I waited until the third day to repeat (I was determined not to get that itch lol) with your products. A little more than a week later, no itch and less shedding. Back on my weekly wash routine, I should’ve washed my hair this past Sunday, but, I decided to wait until after my Derm appt today. I wanted to get some professional advise/views about my progress or lack thereof. I was mentally prepared to get the steroid shots in my scalp and listen to her tell me how much damage was done. 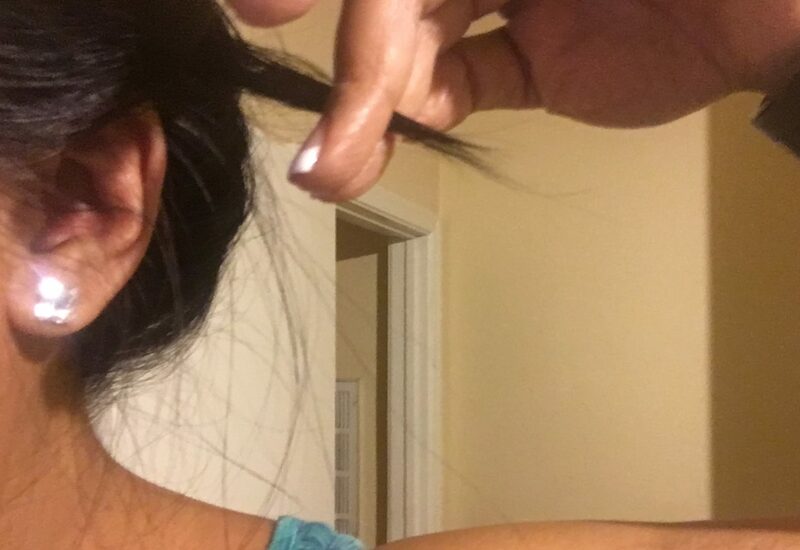 Creator is my witness… She said… “Well there is no inflammation, I can see where you HAD the bald spots but all of this (and she tugged lightly) is regrowth.” YAAAASSSS, PRAISE GOD! She continued, “so the Clobetasol shampoo and cream are working for you. Let’s see if we can reduce the frequency of use.” I said, “Well, I haven’t used it in almost 2 weeks.” I explained what I was doing and, looking at me like I had four heads, she said “whatever it is, don’t stop. I want to see you in six months to see if it’s still helping. In the meantime, call me if you need to”. I know it’s still early, but, I had to share this TODAY, because, it happened TODAY. I will keep you posted. I will be ordering more products this weekend so I’ll have everything I need when I start going back to the salon to get my twists done. Thank you so much for sharing your journey!! God Bless! 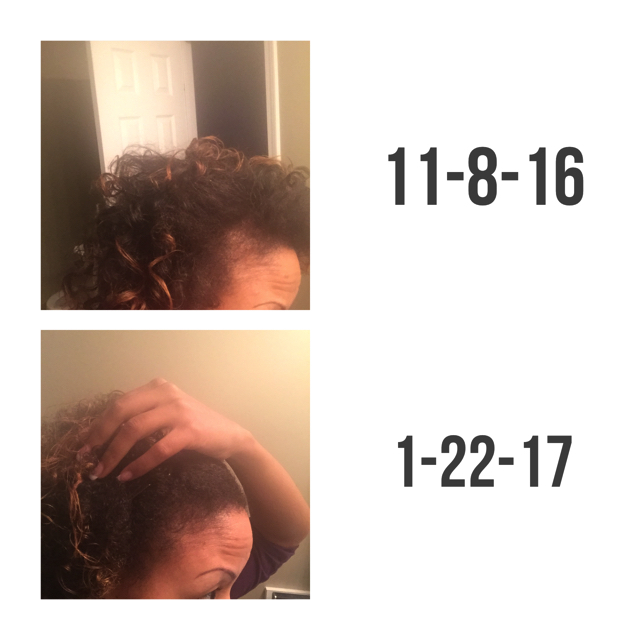 I started using the Scalp Balm in October after trying many other products without seeing any results. I wore sew in extensions for at least 8 years straight and only took them out to immediately have them reinstalled. 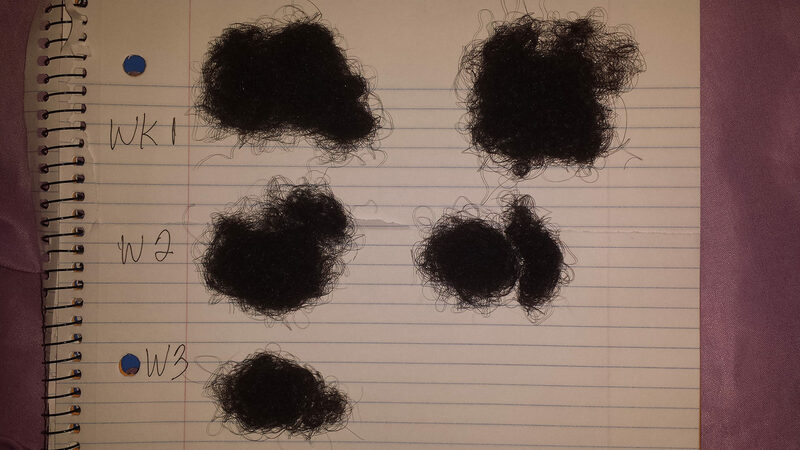 I decided to remove them for good in May and was very saddened to see that my hair had thinned tremendously. My hair had grown longer but it had also thinned to the point of being able to see through it in photos and when looking in the mirror. My edges were very thin around the temple area to the ear area. I started using this product along with the oil blend. I noticed new growth and could feel stubble all over my head. I began to use it with Argan Oil and this is when I noticed the most significant change in my hair. I definitely recommend using it with Cold Pressed and Unrefined Argan Oil which can be purchased on Amazon for less than $10. You can also find it a vitamin store. I take about a dime size amount and add 5-8 drops of the Argan Oil and mix it on the back of my hand. I apply this to my entire scalp on a nightly basis and massaged for about 5 minutes. I then apply my satin bonnet before bed. This is a very light product and will not weigh your hair down or cause it to become greasy. I wash my hair once a week and I do not wear it in a protective style, I typically do braid and curls or just use perm rods to set my hair. This product has been a God send for me because I was really having doubts that my hair would ever grow back. I neglected my hair for many years and I’m very grateful that it is growing back. 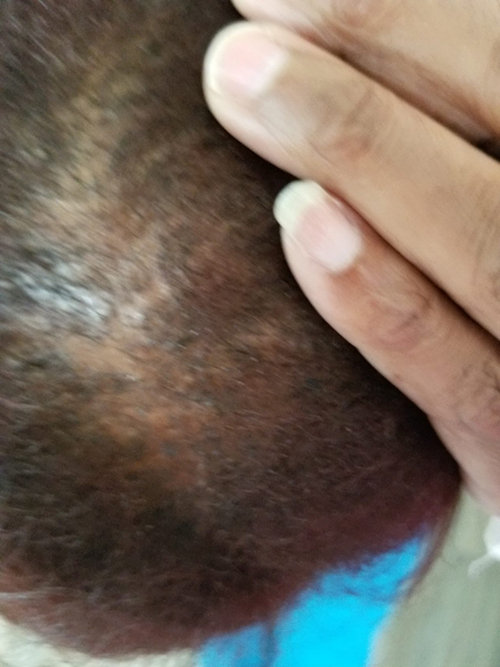 The picture below is of my temple area which had been thin for a couple of years and I had no luck getting it to fill back in before using the Scalp Balm. I will continue to use this product and I’m constantly recommending this product to people who are having similar or worse problems with their hair. I just sent my sister a jar of this after she called asking me if I knew of anything to help with thinning hair. God Bless You Jass and continue to use your blessing to help others. I will add more photos in the future to show my progress in the overall health and thickness of my hair. 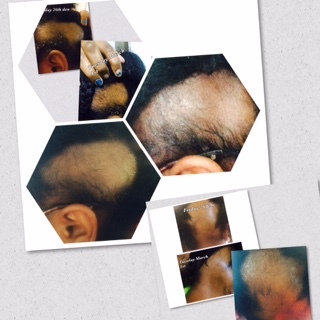 5 out of 5	Healed Alopecia faster than any meds i've used.. 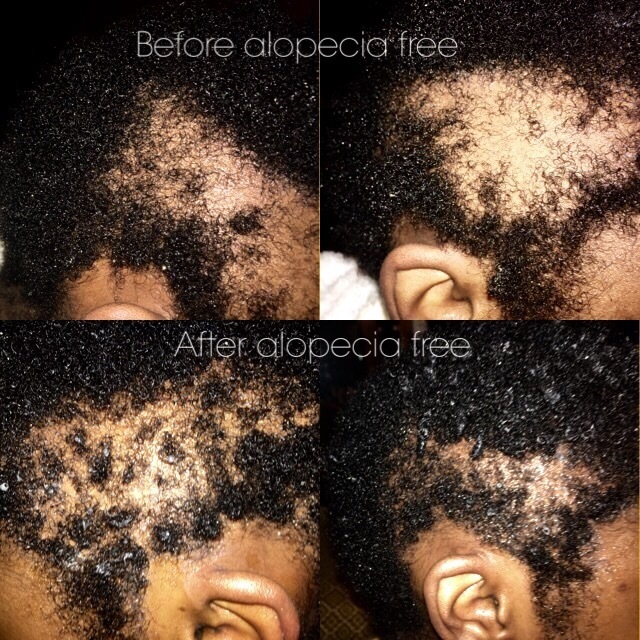 I was diagnosed with Alopecia Areata back at the age of 8 in the year 2001. The Alopecia Areata spots disappeared on it’s own by time I reached 16 years old back in 2009. Alopecia Areata then evolved into Alopecia Universalis a few months after I turned 21 years old in 2014. I always avoided medication but with the help of some doctors I was able to grow all my hair back by the end of 2014 when I was 22 years old. The thing about that was that I was going to have to be on medication for the rest of my life. Two problems with that were that it wasn’t good for your health in the long run and eventually your immune system gets used to it and it stops working. That’s exactly what happened and by 2016 at the age of 24 I found myself with Alopecia Areata Spots again once I started to get off meds. I did some research and tried to find answers and eventually discovered that more people found answers through natural ways of healing instead of using meds. I then searched for more stories and ran into Jassica’s story on youtube and what she used to help and immediately felt like I needed to try this. I used a combo of the Scalp Bam Mixture and The Hair Stimulating Oil Blend every single night and by the end of the first week I feel like I saw a growth. After a month my spots were filled in. They were not completely filled in as you can see but it’s only been a month it’s still still growing. Will definitely continue to use these products. 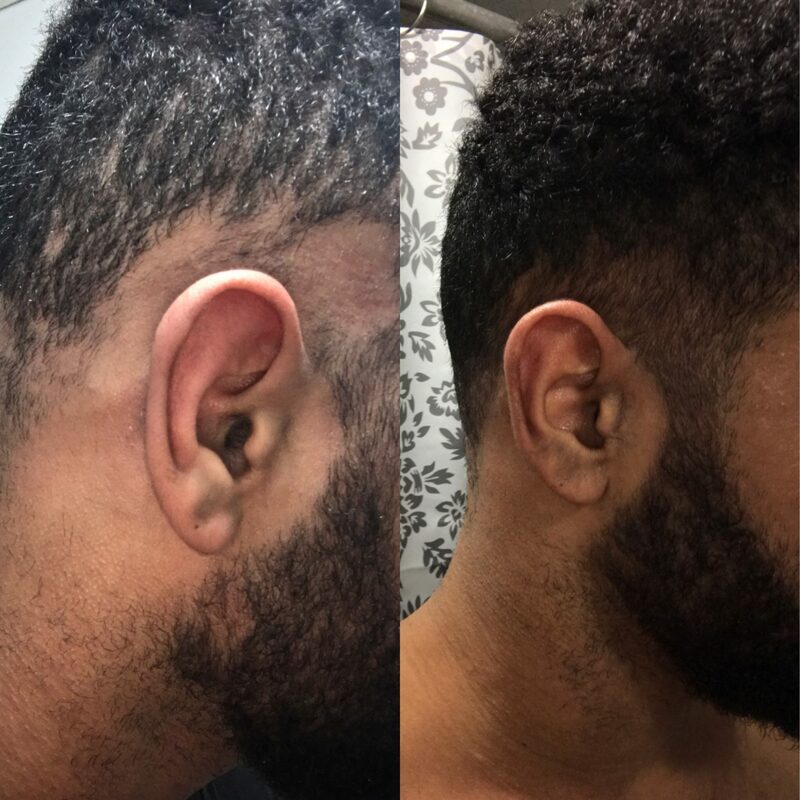 I have never seen growth on my sides until now.Thank You Jass! 5 out of 5	This product is amazing! My son lost his hair at the age of 1, took him to specialist and they told me he has alopecia and theres nothing they can do about it. So I did my research online and i am so glad I found this one. After a month of use. My sons hair is back… AMMMAZING! People notice the big difference and we are so happy to have recommend this product to most of our friends. This product is amazing and I’m blessed to have found out about it. I have been using this for only 5weeks now and see growth. Thank you Jass ! This product is really helping my hair grow back, I didn’t think my hair would beable to grow back that fast because my old alopecia spots I had back when I was like 13 took forever to grow back, but now it don’t take that long because of this product Alopecia free Shea butter mixture. I do have pictures but I just didn’t take a picture of my spots when they where completely bald to the scalp. The pictures at the bottom are two different bald spots. I ‘m really happy to have discovered your channel , and to follow you. I used to make braids, vanilla with my own hair or not. My hair loss started like that . But it is hopeless to try products and not seeing results. So I combined several products come castor oil, JBCO and your products. What a pleasure to see these results thanks to the advice , perseverance and products. I put every other night on the edge of my head with my homemade spray . Thank you thank you thank you Jass . Alopecia is no longer inevitable for me anyway . I have suffered with hair loss on a particular bald spot for almost 7 years. I tried everything from steroid injections to onions no progress. I just started using the shear butter mixture and it’s incredible. I no more have itchiness and my hair that refused to grow started growing. Can’t wait to try the black shampoo. I’m really glad I discovered Jass’ Shea butter mixture as its completely changed my life. I read a lot of things on alopecia and was discouraged that I would never have been able to regrow my hair and was extremely skeptical when I first discovered Jass’ youtube page. However, I purchased the product and tried it out for my self and my bald areas have been growing back, almost miraculously. I can’t thank Jass enough for the invaluable knowledge she has been able to give us all about her experience and her products and step by step method in regrowing bald areas. I highly recommend anyone that has hair loss issues to give Jass’ Shea butter mixture a shot, it’ll change your life and most certainly guarantee you’ll grow back your hair if you stay consistent and eat the right foods. I’ve tried a lot of other products and this is the only thing that truly works! Hey Jass,Your Shea mixture has changed my Dry hair for the Better. Not only does it moisturize my hair it also does not leave it feeling greasy.I have tried other shea butter mixtures and non compare also I can see more new growth growing in the thin parts of my hair that have not been growing.Thank you for sharing your products and Next I am going to try your shampoo.Thanks again Jass. God Bless.